Protecting your products from harmful temperature fluctuations and contamination. 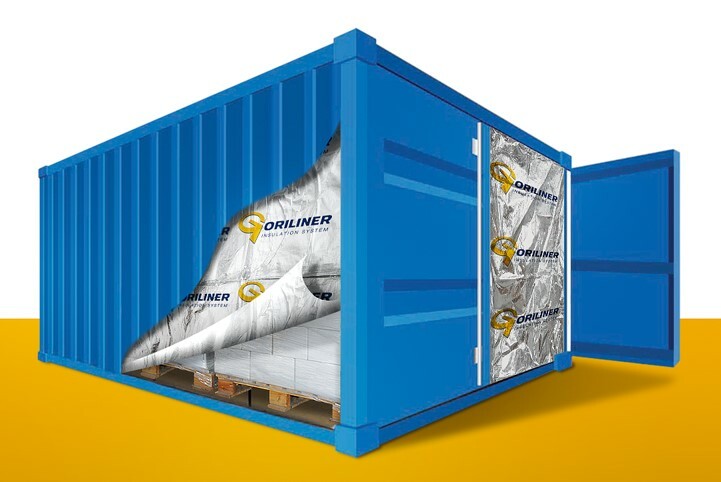 GORILINER is an insulation system, placed in 20’ and 40’ dry containers to protect products from temperature fluctuations and provide an environment at which climate changes are kept to a minimum, allowing your products to arrive at their destination in the condition that they were packed. The acknowledged temperature limit beyond which wines are subjected to degenerations is 25 degrees Celsius. Such degenerations may not be verifiable, but they reduce the shelf life of the product. A constant exposure to temperatures beyond such limit, causes maderization problems, more evident in white wines, resulting in slight to severe browning and oxidized wines. Goriliner provides protective benefits, as it mitigates the impact of thermal shocks, reducing the peaks and the temperature fluctuations’ range by creating a sealed environment which is less affected by temperature variations during the journey.